The incident occurred at about 1:50 PM, when the single engine plane reportedly developed a 'situation' which caused the flight to be diverted to the USVI airport for an emergency landing. The plane, a Pilatus PC 12, had departed from St Barthelemy (Barts)—a French speaking Caribbean Island—with six passengers on board on its way to San Juan, Puerto Rico, when it reported to air traffic controllers that they had an emergency. Tradewinds flight 104, with the sign ‘good speed,’ landed safely at Cyril E. King airport, according to persons speaking with our newsroom who are familiar with the flight. The United States registered carrier has been given permission to operate charter flights at the Terrence B. Lettsome International Airport on Beef Island. 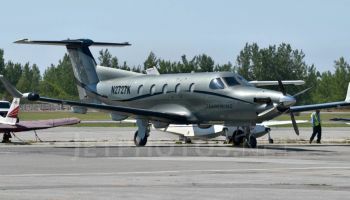 They also operate on routes including Nevis, Antigua, San Juan and St Barts. Details of the airborne troubles forcing the emergency landing on St. Thomas, is yet to be disclosed. was one of the corrupt BVI Politian on board?